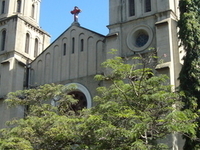 Travelers are voting Cathedral Basilica Of The Holy Family, Independent Presbyterian Church in Kenya and St Paul's Cathedral as the best of 5 churches in Kenya. 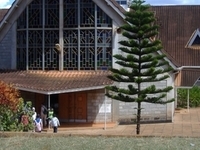 Also popular are Holy Ghost Cathedral in Mombasa and Africa Evangelical Presbyterian Church in Kenya. Want more? Check out our map of churches in Kenya or this 1 churches in Mombasa.